15 days! You’ve made it half way through the challenge! Keep it up! We hope you’re enjoying your weekend and getting in the rest you need. For today, your only mission is prep. The best way to ensure you stay on track with your nutrition and weight loss goals is to plan ahead. 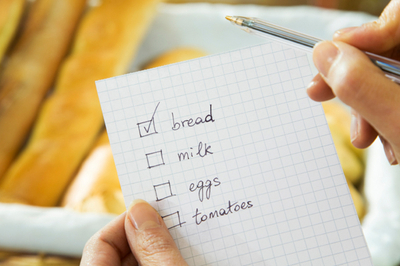 Write out a list of meals you plan on having throughout the week and try to get your food and snack shopping done today. If you need some help finding good high protein and healthy meals/snacks, try taking a look at our store! We have some great products that can really help you achieve your personal goals. Let’s get this week prepared and ready for success! The post June Slim-Down Challenge: Day 15 – June 15, 2014 appeared first on Nashua Nutrition Blog.